"PDR" is the best & only way to retain factory paint finish. DENTS and HAIL damage removed at half the cost, original paint stays original with no colour matching problems, so your vehicle continues to look 100% original. Look at your dent & if the paint is unbroken/undamaged call 0419190752, you will be amazed at the low cost compared to panel beating & paint shops. 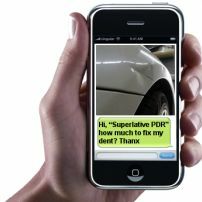 "Superlative PDR" pushes perfection on every repair, are you interested in having a licenced repairer with a decade of experience repair your vehicle? 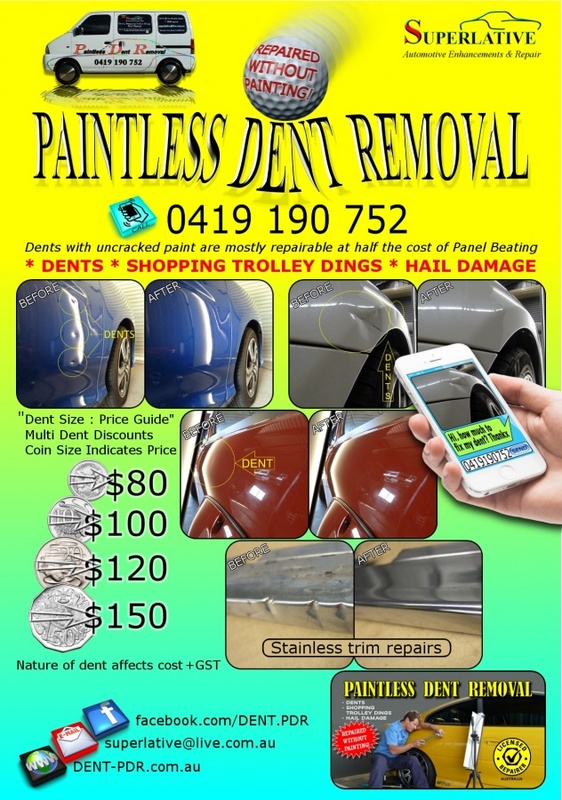 commented on "Paintless Dent Removal, Perth Western Australia 0419190752 ..."
commented on "Paintless Dent Removal Perth Western Australia 0419190752 ..."
commented on "Have annoying dents fixed without painting your car at half the conventional repair cost ..."
commented on "Price guide: ..."